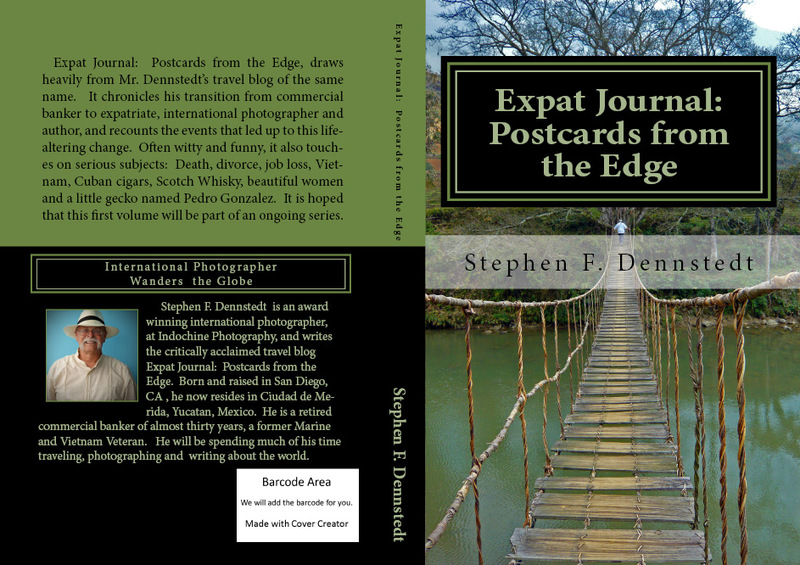 Expat Journal: Postcards from the Edge, is now available in either a soft-cover edition or a Kindle eBook edition. Also available at: Barnes and Noble; other leading bookstores; as well as many libraries around the world. Author’s note: The years and events leading up to this book were both hard and stressful. I know many of you have gone through, or are presently going through, these same kinds of life-altering events. This book is part memoir, part travel guide and part self-help instruction (without being too preachy about it). It’s hoped that you will find this narrative both instructive and helpful, and maybe give a few laughs along the way. I’m now living in Ciudad de Merida, Yucatan, Mexico, but I plan to use my retirement years traveling the globe, and photographing and writing about the wonders and adventures that surround me. You’re invited to join in the fun and exploration. If I can do it anyone can do it.